Have you ever had any jewelry that tarnished and you didn't quite know what to do with it? There's a way that my grandmother taught me, which was to use toothpaste and to rub it directly on your silver items and to keep rubbing it until the toothpaste becomes greyish in color, and then rinse in water and pat to dry. 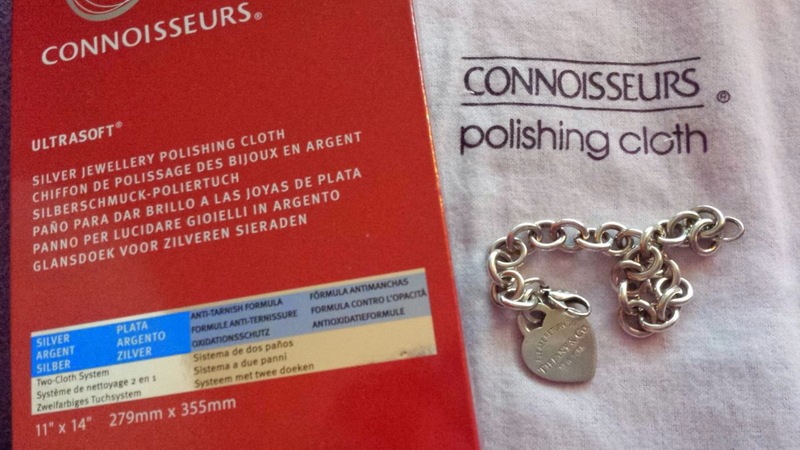 However, another way to do it and to add the extra step of being able to polish and shine the jewelry is to use this cloth from Connoisseurs. 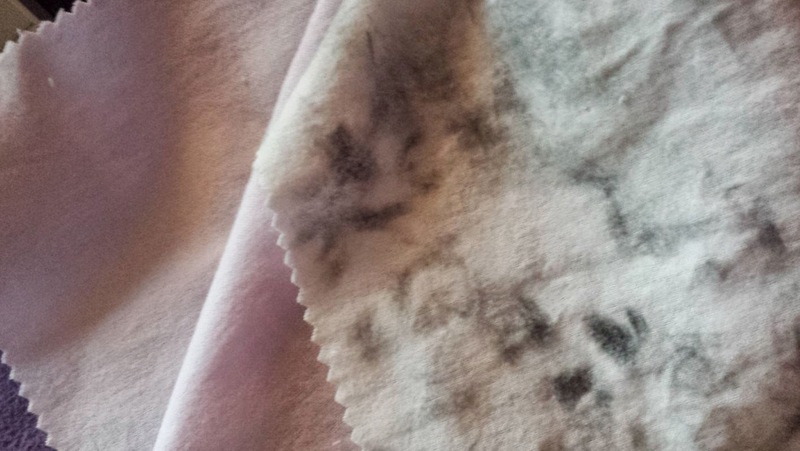 You use the white side to rub the item until you see the grey come off onto the cloth (as pictured below) and once it's clean, go the extra step by using the pink cloth to wipe it again, and you'll notice that it becomes extra shiny and like new again.